Beloved by many, Stratheden was one in a series of five famous 'Strath' sisters built for P&O from 1930-1937. Stratheden served as a pleasure cruiser before converting to troopship duties during the Second World War. Following victory in 1945, Stratheden carried thousands from Britain and mainland Europe for new lives in Australia. This illustration of 'Stratheden', showing her 1959 configuration, was completed over the course of two weeks from February to March 2018 by Michael C Brady and involved around 40 hours of drawing. 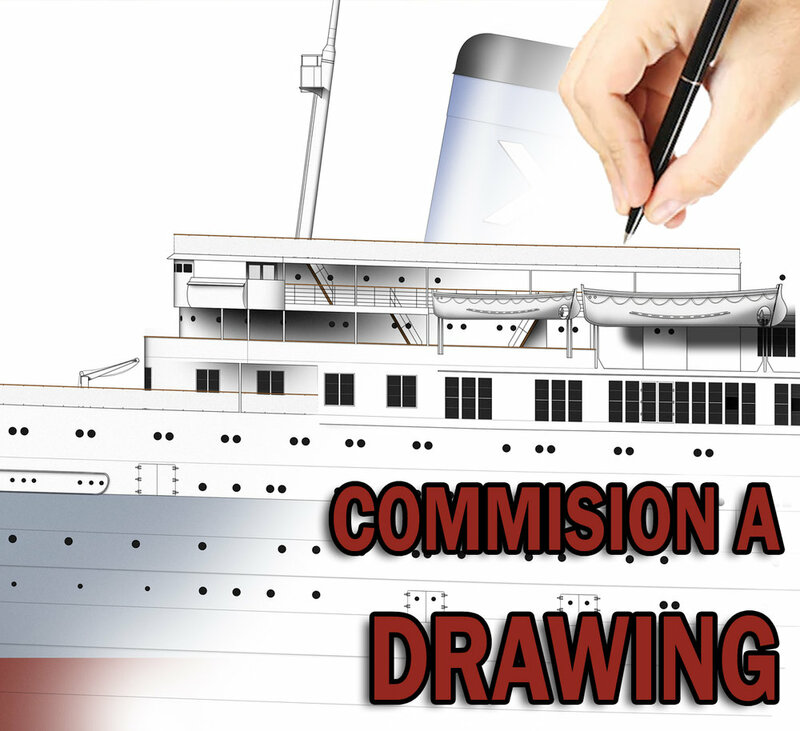 Original plans, videos and high-definition photographs were studied in order to maintain authenticity. Stratheden's distinctive promenades. Note the lighter area at left which was an enclosed 'dance' area featuring removable glass panels. The iconic laminated-timber bridge. The 'A-Frames' are stanchions for rigging a canvas wet-weather cover during rough seas and rain. A section of Stratheden's hull showing window arrangements and promenades. 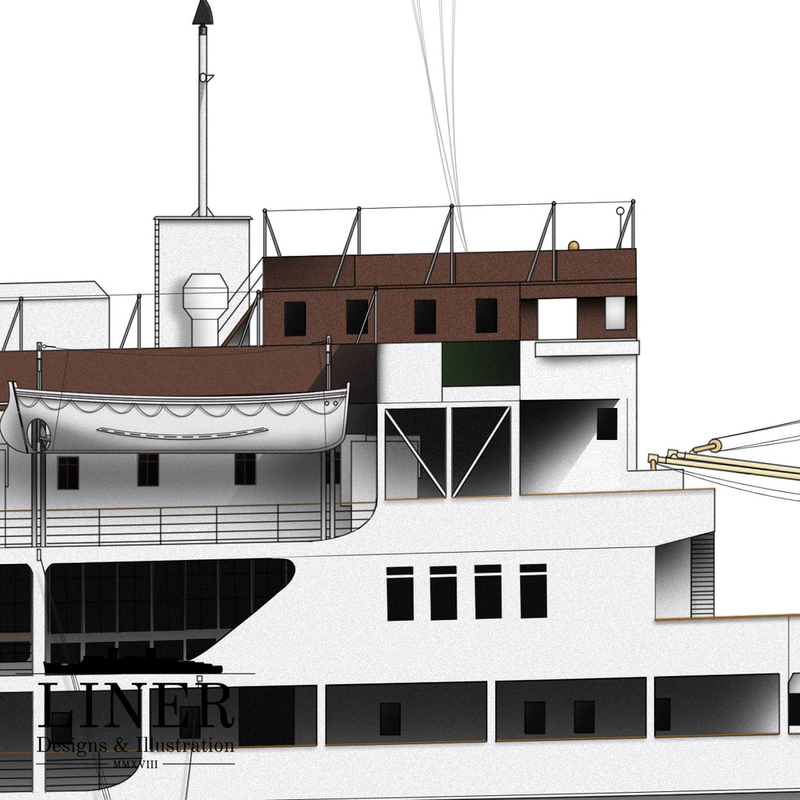 Note the gangway doors at the lower right which could be opened fully or halfway to allow for ventilation while cruising in the tropics.